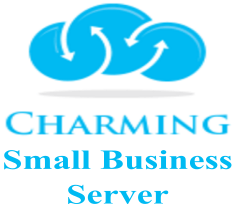 "Small Business Server from Charming is based on early experiences working with a Microsoft product of the same name, but much cheaper. Customer demand for Marketing software had us add the PhpList Newsletter package. As a cloud server based on Open source software you can expand as much as you need without purchasing new licenses. It includes Charming Technical Support. It is configured with the sendmail email server for mail@yourdomain, Wordpress, SEO. An init script sets up all the passwords. We have built this server especially for the needs of small businesses. As an AMI It has been installed many times for clients and has had programs added on that were demanded by clients. We have added a 6 GB of Swap / Cache. Assuming that you are using the standard SSD, AWS gives you burst for the moments that you need more IOPS, using the Swap should not slow the server. Maximized for small businesses who need a web server to showcase their business with Wordpress. Email server using sendmail to receive email@your-domain-name.